We hold these truths to be self-evident, that if we are honest and hard-working we will have the opportunity to pursue the American dream. We believe that fine-print-bullies and big banks should not compromise our rights life, liberty and the pursuit of happiness. We celebrate the ability to spend our money how we want, and the freedom from hidden fees, scams, and injustices. 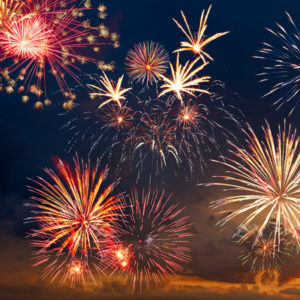 The Fourth of July was once only a celebration of America’s independence from Britain. But today, it’s even more. The day (and really the whole week/weekend) is full of parades, barbecues, and fireworks that represent our gratitude for the families, communities, and American traditions that we’re free to enjoy. We celebrate our nation’s hard-earned independence just as much as our own personal freedoms and the ability to overcome tyranny. Each year more than $25 BILLION is spent by Americans on hidden fees. From credit cards and vacation resorts to 401K’s and student loans, unexpected costs add up. The Consumer Financial Protection Bureau has handled over 1.1 Million+ complaints, and hidden fees are the number one consumer complaint. But Americans will not stand idly by. One of our strongest characteristics as a people is the ability to overcome tyranny and injustice together. (There was even a harbor in Boston full of tea to prove this.) We have the protection of the CFPB, an unwavering belief in standing up for what is right, and we utilize all the resources we’re given. The sharing of information online has become a crucial resource for financial well-being. Therefore, consumers know that unexpected fees have surprised others who will readily share their story. 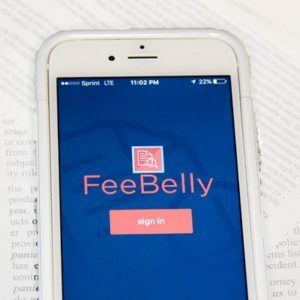 And “those who do not learn from the past are doomed to repeat it.” Online calculators and contract review apps like FeeBelly also make it easy to get peace of mind from costly terms. With FeeBelly, purchasing experiences are transparent and honest. We believe that all consumers should have the right to that. By scanning your financial agreement document for selected keywords, FeeBelly does the due diligence for you. In three easy steps, the free app instantly catches hidden fees and costly terms buried deep in the fine print. Financial protection from the ‘gotchas’ and the fine-print tricks is a simple freedom, but the benefit is huge. This Fourth of July, we’re not only celebrating our independence from Britain. So we hope you’ll join FeeBelly in declaring your freedom from hidden fees as well. Never worrying about unexpected fees in financial agreements again? That’s probably worth a firework or two!